Big news! Today, after five years, we’re releasing an updated brand identity which includes a new name, logo, and typeface. 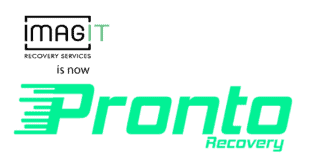 We are delighted to announce that our company name will change as of January 1st, 2018 to Pronto Recovery. You’ll see the change anywhere we’re out in public -like our website, social media accounts, and conference exhibit booths. We believe our new name and image better matches what we’ve become since 2013 -an extremely reliable supplier of business continuity solutions, while also representing our new temporary technology rentals service. Our goal was to create a brand that better matches our services and a design that is crisp, relevant, and smart. We hope you like this new identity and rest assured that this rebrand will not affect the service and commitment that our business has demonstrated thus far!